Here is my first poll, I am interested in seeing what you guys think of my 3 favorite cooks. Here is a little info on them in case you don’t know who they are. 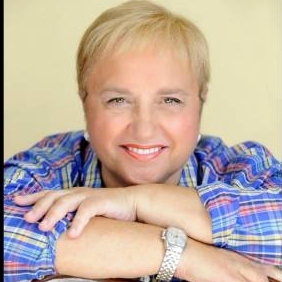 Lidia Bastianich – Where do I even start? A star of a variety of public television shows, Lidia Mattticchio Batstianich is widely regarded as the “First Lady” of Italian cuisine and restaurants in the United States. She came to New York in 1958. Her television show, “Lidia’s Italian Table” was released in September 1998 together with her companion book of the same name. Lidia is the owner of the award-winning Felidia restaurant. ESCA, Becco, Kanasas City Lidias Italy, Pittsburgh Lidias Italy, Del Posto, Eataly and Bastianich Winery are all other amazing restaurants and wines. Lidia enjoys sharing her cuisine with a number of talented young Italian and American chefs at her restaurants, where she continues to prepare traditional and authentic Italian food together with them. Lidia speaks highly of her family, 2 things that she is very passionate about are Food and Family. Lidia has about 6 books out now and they truly are amazing. Both her children Tanya Bastianich Manuali and Joe Bastianich have been part of her show, sharing there expertise on cooking and wines. Lidias famous words as she signs off of her cooking show are “Tutti a tavola a mangiare!” (Italian for “Everyone to the table to eat”). 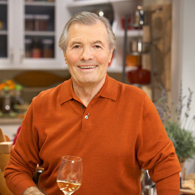 Jacques Pepin- is one of America’s known chefs. He is the author of 24 books. He has also hosted nine public television cooking series, the most recent of which is called More Fast Food My Way. Pepin was born in rural France and his first exposure to cooking was in his parents’ restaurant, Le Pelican. He began his formal apprenticeship at the age of thirteen and went on to work in Paris as the personal chef. He moved to the United States in 1959 and studied at Columbia University. Pepin is currently a columnist for Food & Wine Magazine and formerly served as a columnist for The New York Times. Having founded The American Institute of Food and Wine, Pepin has served as The French Culinary Institute’s Dean of Special Programs, a position he’s held since 1988 and is an adjunct professor at Boston University. Rachael Ray- you either love her or hate her. Millions adore her quirkiness and down-to-earth style. Others, including many celebrity chefs and food writers, heap criticism upon her. Entire blogs are devoted to slamming the self-proclaimed Anti-Martha Stewart but I guess to each their own. Rachael says she was born into cooking. “My first vivid memory is watching mom in a restaurant kitchen. She was flipping something with a spatula. I tried to copy her and ended up grilling my right thumb! I was three or four,” says Rachael. “Everyone on both sides of my family cooks.” She is one of the most popular personalities on The Food Networks. Rachael the the star of 30 Minute Meals, Rachael Ray’s Tasty Travels, and Inside Dish with Rachael Ray. She’s the author of nearly a dozen cookbooks, and now has her own magazine, Every Day with Rachael Ray. She even has her own daytime talk show, Rachael Ray, which premiered in September 2006. Next Post What About The Children? I love Rachel’s cookbooks but I am a Bobby Flay girl. I love grilled food and that’s definitely his specialty. Rachel’s cookbooks and recipes are so easy and delicious though. I have many of hers memorized and use them over and over.